First of all, Happy New Year! I’ve got three days worth to report on. 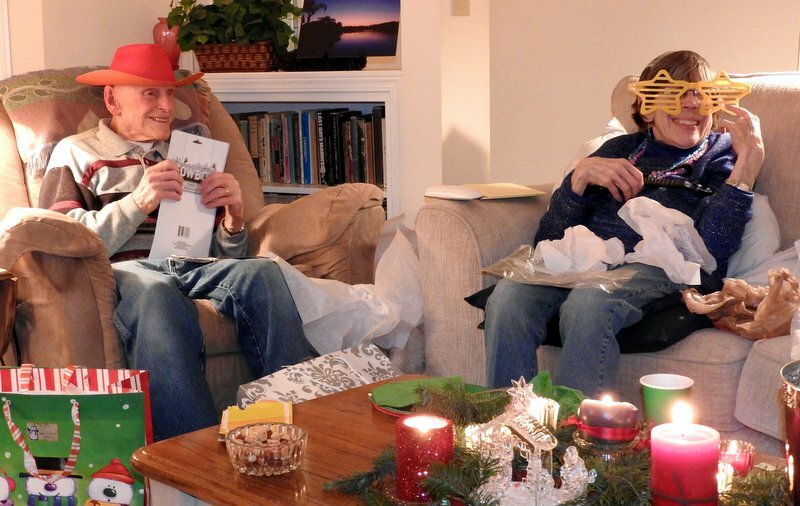 My sister, Sherill, and her husband, Fred, playing with their gifts. They are the ones we’ve been spending the last month and a half with. My son, Jamey, and a friend of my younger sister’s who hates to have her picture taken. 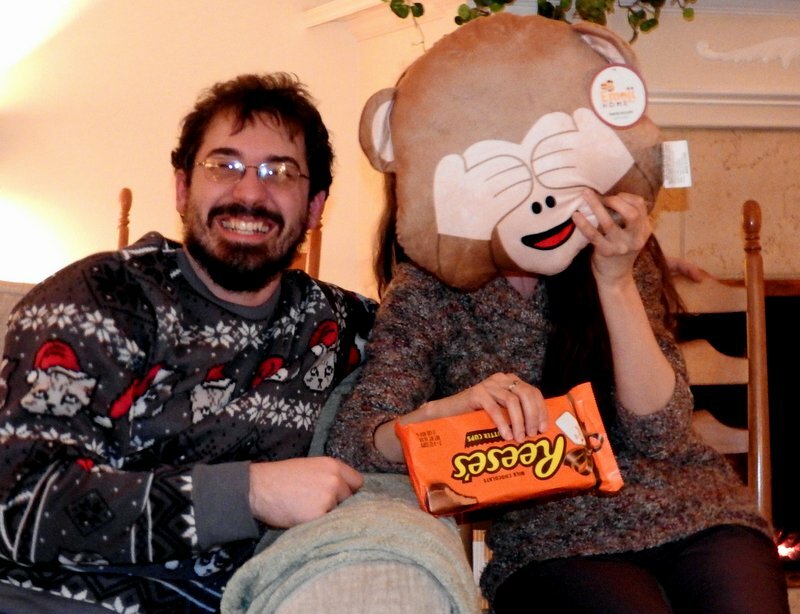 Jamey loaned her the pillow he got and she’s holding the giant peanut butter cups she got. 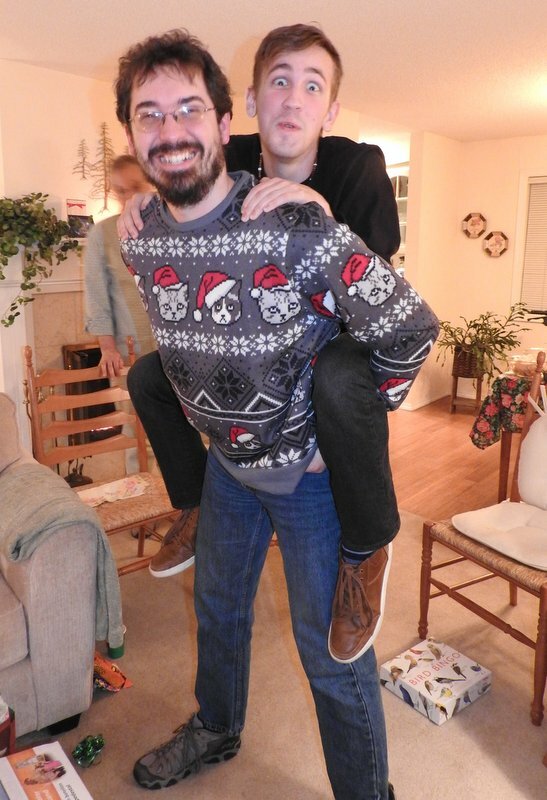 Jamey and his cousin, Nate, have played piggy back ever since Nate was a wee tyke! Mark hamming it up for the camera. 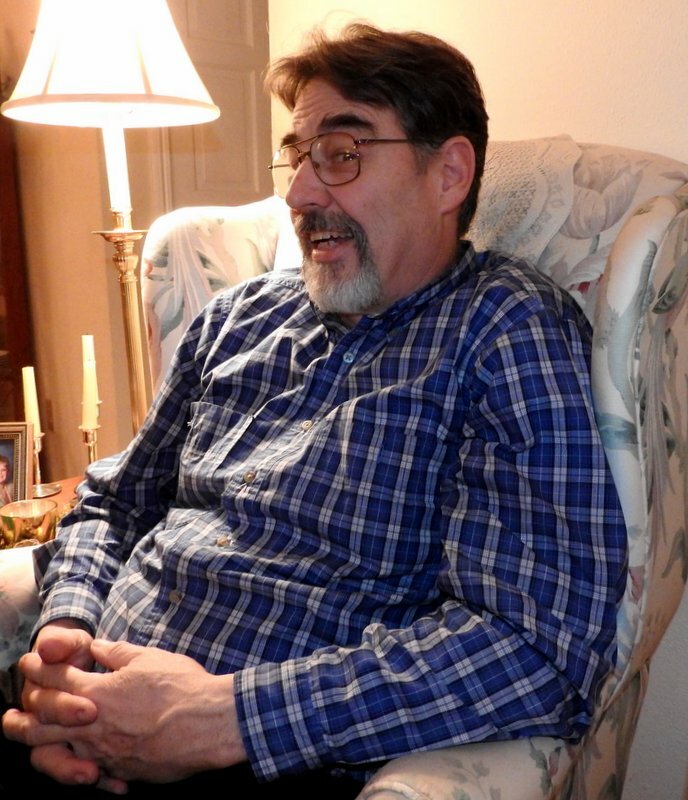 New Year’s Day, Mark and I were busy all day getting our RV ready to go. 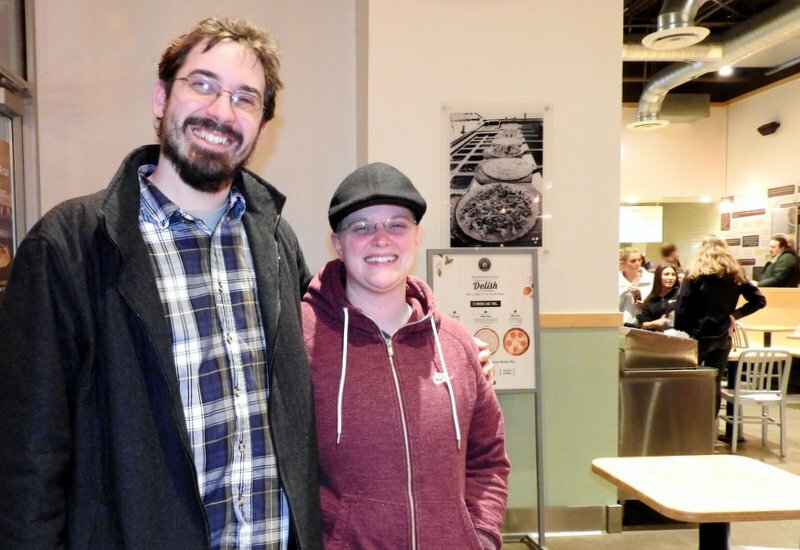 In the evening, we met Jamey and Sage at Pieology for dinner. Pieology, for those of you who haven’t heard of it, is a pizza place that’s kind of like Subway where you walk along a counter and tell the server what you want on your pizza. Mine had spinach, cucumbers, Canadian bacon, pineapple, and cranberries! Jamey and Sage, who is non-binary. 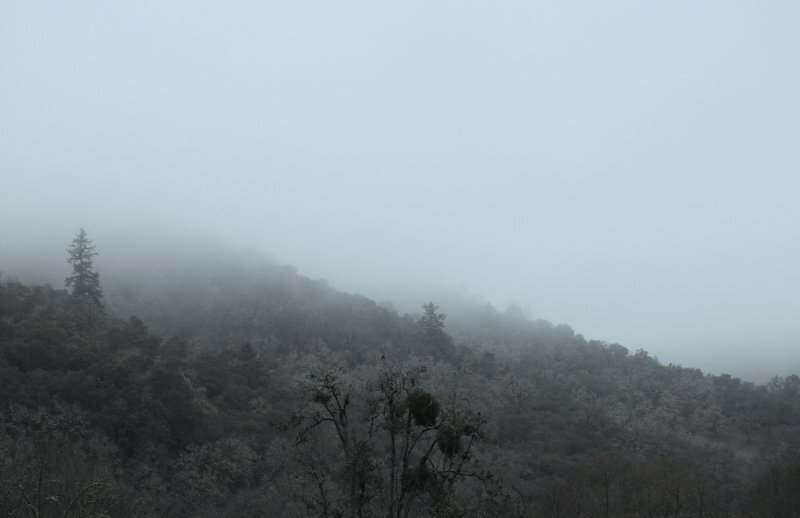 When Mark and I got home, there was a phenomenon I’ve never seen before. 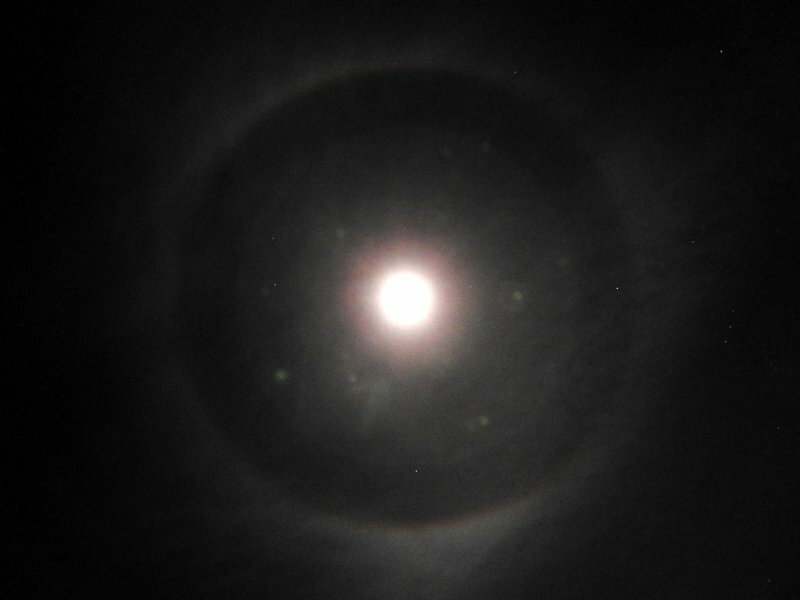 The moon had a really wide ring around it and the center between the moon and the edges of the ring was fairly black. It was almost like looking into the eye of God! This morning there were still things to do before we could leave. Around 11:00, we circled up with Fred and Sherill and they prayed for us. We all hugged each other and Sherill and Fred waved as we drove away. Beauty even from a Walmart parking lot! As I was working on this post, Sherill called. She said that she and Fred had gotten something for me in the mail shortly after we left, so they jumped in their car and tried to find us. They were excited at the possibility of seeing us one more time, but they looked in the wrong place and couldn’t reach us on our phone, so they went back home. I am sorry to have missed them. It was hard to leave them behind this morning. Sherill also had some good news… She has been having a really gimpy leg for the last week, and the muscles in her arms and hands have been weakening too. She had an ultrasound of her leg today and there was nothing bad there. The nurse commented that she should be taking Lasix to get rid of the water build-up she has from her chemo treatments. Sherill said she has been taking Lasix, and the nurse asked if she was taking potassium? Turns out that if you’ve been on Lasix an extended amount of time without taking potassium, it can make your muscles weaker. What a relief to know that’s all she has to do to get stronger! 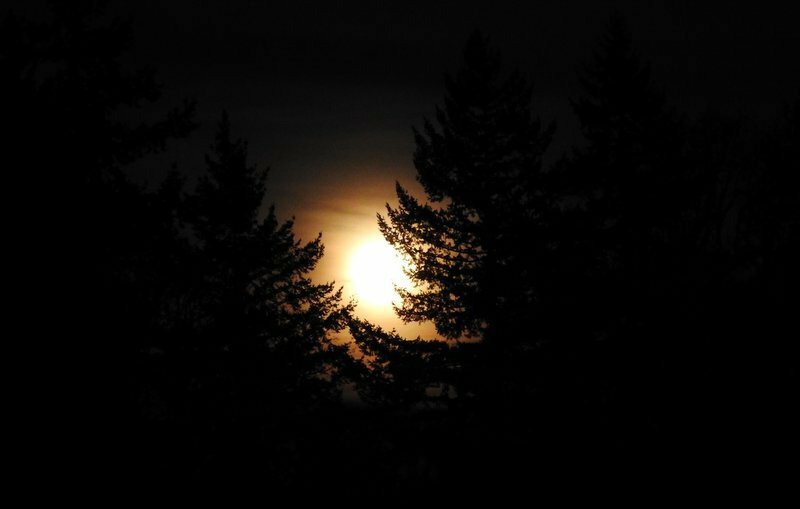 This entry was posted in Family, Holidays, Pictures, Travel and tagged astronomical phenomenon, Clackamette Park, family, holidays, Les Schwab, non-binary, photos, prayer, travel, Walmart overnight camping by Denise Fuller. Bookmark the permalink.